Famed for it’s fine white sand beaches and crystal clear waters, Koh Samui has become the most popular destination for a luxury getaway in Thailand, and as such, has become the island with the most stunning beachfront resorts. Ultra-luxurious properties line the tropical coastline, with infinity pool vistas and direct access to the type of beaches you find featured in ads. 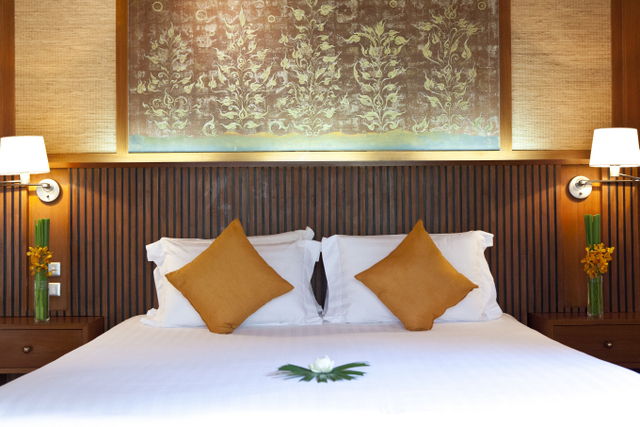 Because the standard of accommodation across Koh Samui is high, it can be tempting to just book any 5 star room. But if you’re looking to experience true luxury; private infinity pools, personal chefs and an exclusive section of the beach; you should book a private luxury villa instead. And I believe we’ve found the most beautiful villa in Thailand; Villa Acacia – one of the 11 incredible villa’s in the Miskawaan set. 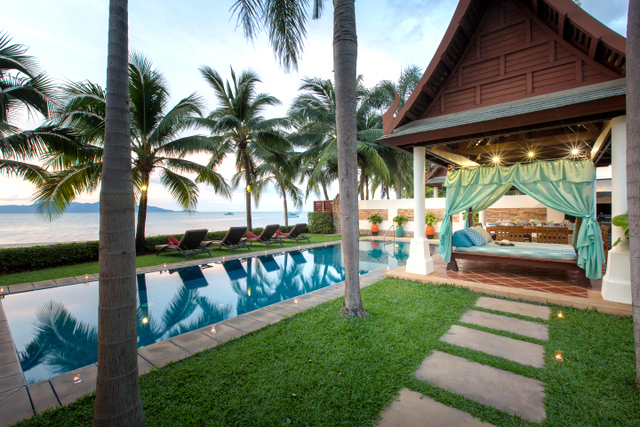 Is This the Most Beautiful Beach Front Villa in Thailand? In short, yes. 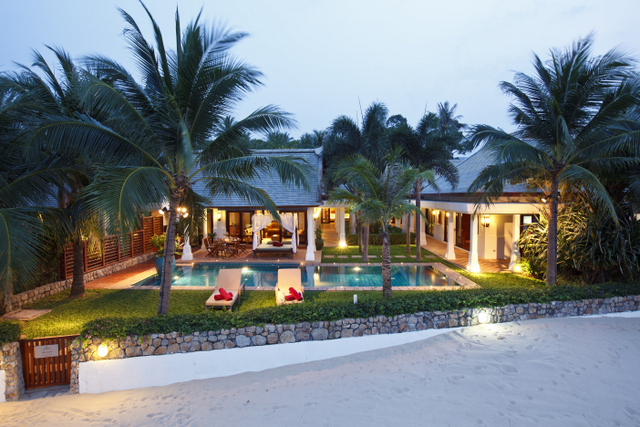 The Villa Acacia is the most beautiful beach front villa in Thailand. 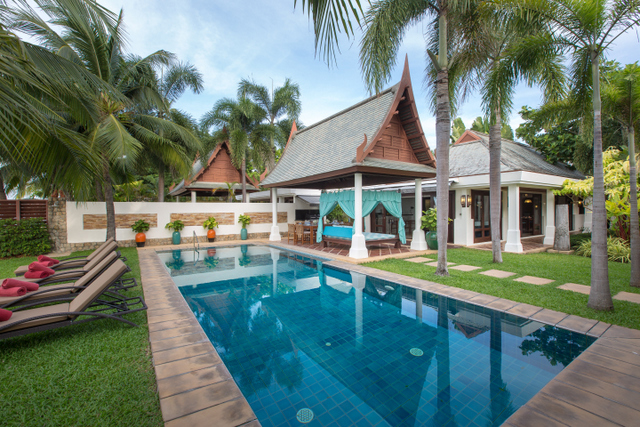 Though the 10 other villas at Miskawaan come exceptionally close! (Location is the North Coast of Koh Samui on Maenam beach). Offering 5 star luxury service and fronting onto 22m of your own personal stretch of pristine beach, the rooms of Villa Acacia are designed around a central tropical garden area. At the rear of the garden is a pavilion with two twin bedrooms, each with a stylish bathroom, while next to them is a well-equipped private gym. Editors Note: Personally I’ve never been comfortable working out in front of strangers, so the fact that the gym is exclusively yours, with state of the art equipment (free weights, cross trainer and bike), is a win. The central tropical garden separates the double bedroom from the large pavilion which houses the modern kitchen, dining room seating 10, lounge room and media room with overhead projector and drop down screen. 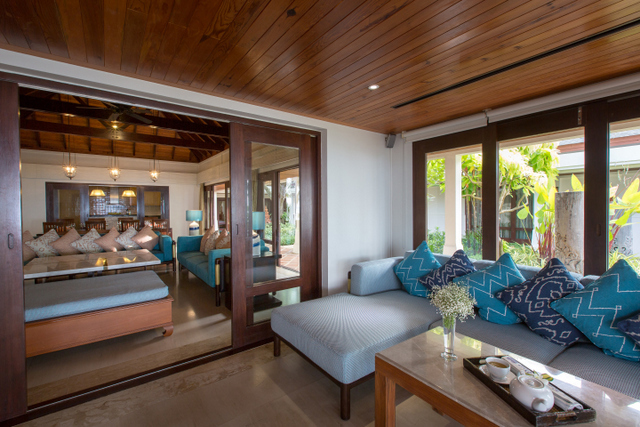 The Master bedroom is located in a separate pavilion at the very front enjoying spectacular views of the beach and Koh Phan-Ngan. To the front is a blue-tiled swimming pool set amid lawns. This private pool is perfectly positioned to overlook the beach and turquoise waters beyond. In short, this is a stunning dream vacation villa, the epitome of luxury and exclusivity, with enough room for a family or group of friends, with everything you could possibly think to need! The four bedrooms of Villa Acacia are stunning with exposed timber ceilings, teak floors and fixed headboards with artwork. There are wall lamps, walk-in closets, and internal access to a bathroom. The Master and second bedroom feature TV/DVD & satellite TV connection. The bedrooms have floor to ceiling windows on sliding doors which look out into the tropical garden. The Master enjoys spectacular views of the beach. You won’t want to fall asleep – these views are better than anything you could possibly dream! The bathrooms are stunning with marble floors, double vanity’s and built in cabinets below. There is a large indoor shower in each as well as a large two person bathtub. There is also an outdoor garden shower on stone wall if you don’t want to track in sand from the beach. 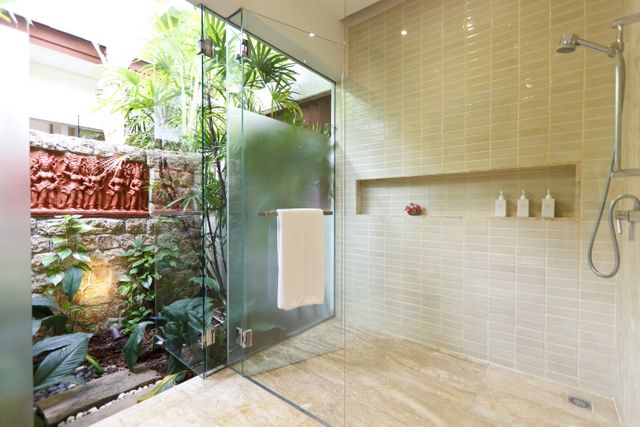 Or if you simple enjoy the luxury of showering in the outdoors! 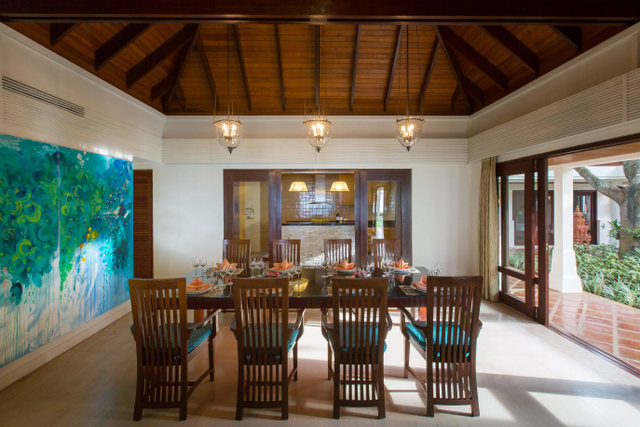 The living and dining space here is truly something special – vaulted timber ceilings come together with sandstone flooring in a dining space for 10. Loose furniture and seating will also comfortably fit 10, with TV/DVD & Satellite TV, as well as a bathroom with a single vanity. The kitchen is a dream – a well appointed European style kitchen with full Siemens appliances. If you’re a budding master chef, you can self-cater, and buy groceries for your own meals. But you also have the option of an in-villa dining experience prepared by a personal chef, and this is around the same price as it would be to eat out. If you’re worried about the tropical heat, don’t be. The rooms of the villa are open plan, so a beautiful tropical breeze blows through, though split air-conditioning units are situated throughout, with wall mounted controllers fitted to all bedrooms, kitchen, living and dining areas. 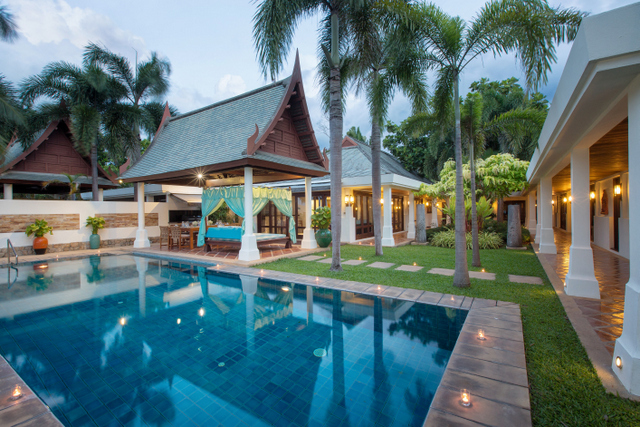 The rooms of the villa are set up around a central tropical garden, and a feature of the outside area is a Thai Sala (open outdoor pavilion), with outdoor speakers controlled from the open air lounge, ceiling mounted fans and a massage daybed. The walkways are terra-cotta sand wash under Lao Pine ceiling to roof. The open air lounge is set with a bar counter with sink, bar fridge and stereo system compatible for IPOD/Laptop. If you’re traveling with your own films, or want to play back your footage from the day, there is an overhead projector with drop down ceiling mounted screen. And then there’s the pool – an in-ground, sandstone coping with overflow edge, salt water chlorinator, which looks directly out over the beach. 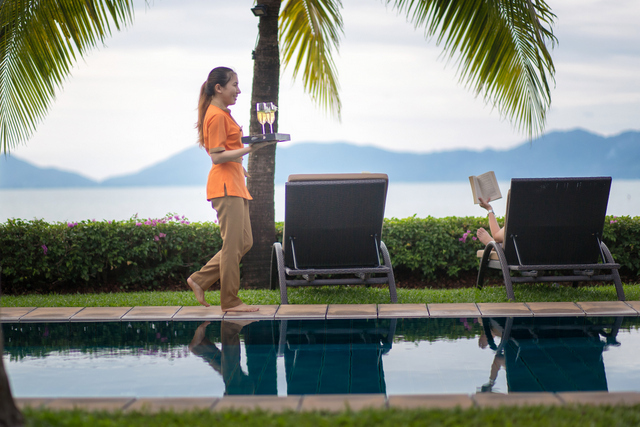 There are cushioned lounge chairs, daybeds and umbrellas, and once you step through the pool’s gated entry you’re on the silver sands of Mae Nam Beach. The pool depth goes from 900mm to 1600mm. 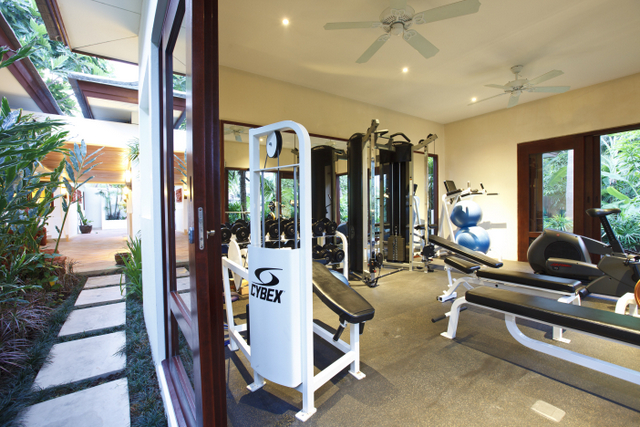 Between the gym, the pool, the cinema and the beach, you would be forgiven for not wanting to leave the property during your stay. 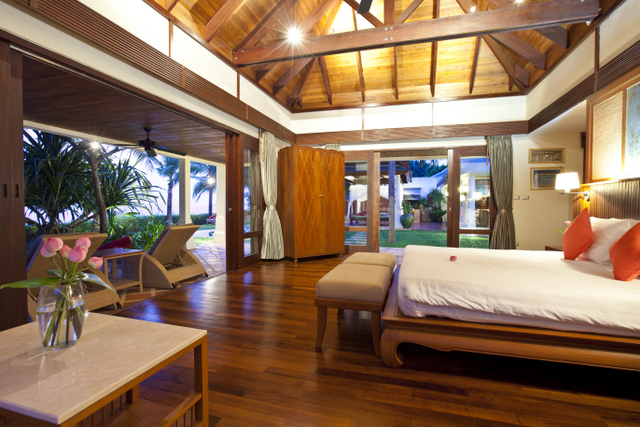 Part of the point of renting a luxury villa after-all means relaxing in luxury! However there are many tours, excursions and watersports which Miskawaan can arrange, and you have a private “Villa Manager” who will act as a personal concierge. Activities offered include private yoga lessons, private Muay Thai lessons (including boxing gloves & kick pad), and watersports like wakeboarding, water skiing, tubing or a run on the banana boat. You can take out a catamaran, jet skis, or paddleboard, or organize motorbike, car or truck rental if you want to explore at your own leisure. Excursions wise, Miskawaan can arrange a Namaung Safari which visits temples, mountains, waterfalls and includes wildlife encounters (baby elephants, crocodiles and monkeys), as well as adventure activities like kayaking, ATV’s, ziplines and the option of Paintball. Or you can opt for a Jungle Safari which includes mountain view points, swimming in waterfalls and elephant trekking. There is an option for an Eco Tour which visits local markets, temples, Thai cooking, and once again the waterfalls. As well as trips designed for game fishing, snorkellin, beach picnics and water parks. The possibilities are truly endless, and there is SO MUCH to do! Each of these tours picks up from your villa. Villa Acacia is the gold standard of luxury villa accommodation. The lodgings are lavish, and the service is of an exceptionally high standard. Fair warning though – in terms of your future travels, we’re not sure if any other accommodation will ever measure up to this stay! We recommend staying for at least a week. Visit www.miskawaan.com for more details on availability and to make a booking for your stay. Everything here looks beyond beautiful Meg. I have seen a few jaw-dropping resorts in places like Phuket. This ranks right up there with special, eye-popping, gorgeous villas in the Land of Smiles. You cannot go wrong with Thailand too. I betcha a few minutes from there you can buy a 30 Baht dinner from a sanitary Thai street vendor or veggie restaurant that is out of this world! Thailand is about my fave place on earth. We just go offered a 2 month sit outside of Chiang Mai for next year; pondering a return of course. Thailand blows me away with the standard of accommodation on offer – surely some of the most incredible and luxurious experiences in the world! It really is gorgeous! Koh Samui is one of the places I only got to spend a few hours when I backpacked in Thailand, so I’ll definitely go back one day and stay there. A friend of mine got married on the island and it was so beautiful! Love that you get the gym to yourself too here. 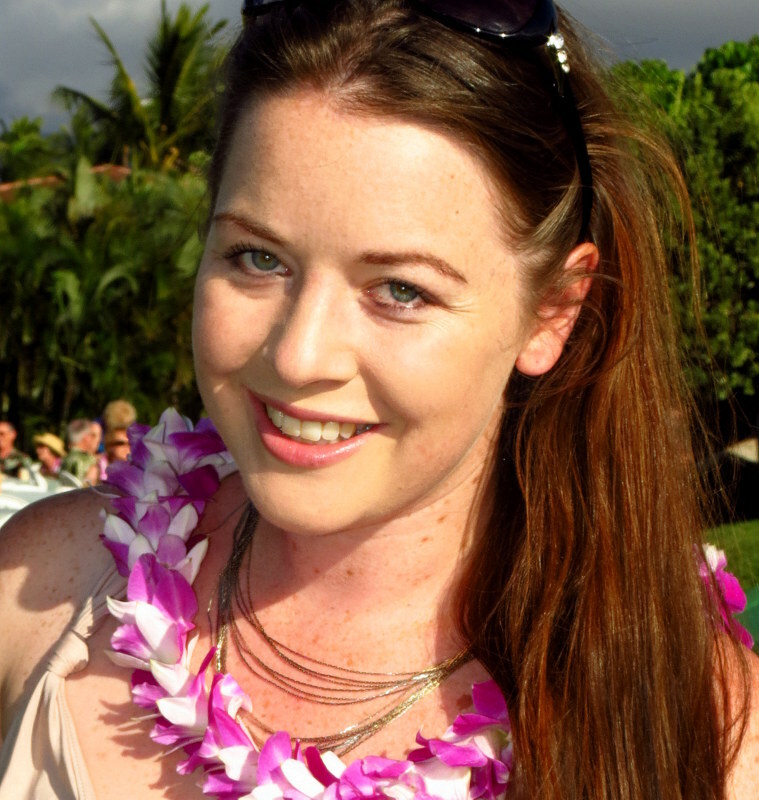 Hope you have the chance to visit Koh Samui again soon :) What a beautiful place to get married! If you have any other friends who become engaged perhaps you could suggest the villa – it’s an awesome spot for a wedding party, and a great excuse to get back to Thailand too :D! Absolutely, the Miskawaan Villa’s would be amazing for a big family reunion – so nice to have a luxurious, and private space. We slummed a bit in Koh Tao to go diving at Chumphon Pinnacle. 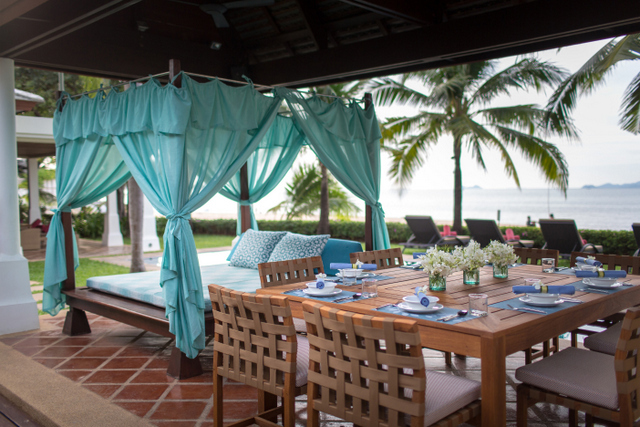 We would have really enjoyed staying at a beach front villa in Koh Samui to explore the area. The level of luxury looks first class across the board. The level of luxury is unparalleled to anything I’ve ever come across before. They’ve created an exceptional experience here. Oh my goodness that looks so beautiful! I stayed in hotels when I was in Thailand but I might need to look into the villas next time I visit. That bedroom and bathroom looks so luxurious! This villa is perfect for a week stay with friends and family. We can highly recommend villas in Thailand over hotels – and Miskawaan sure know how to pull off the villa experience really well! This villa looks amazing, and there is so much there you wouldn’t need to leave. Although I’d have to join an Eco Tour and a cooking class! I haven’t been to Thailand yet, but when I do I’ll keep this in mind. You’re definitely not going to want to leave, that’s for sure! Miskawaan have done an incredible job of creating the full experience, and incorporating literally everything you might ever think to need. 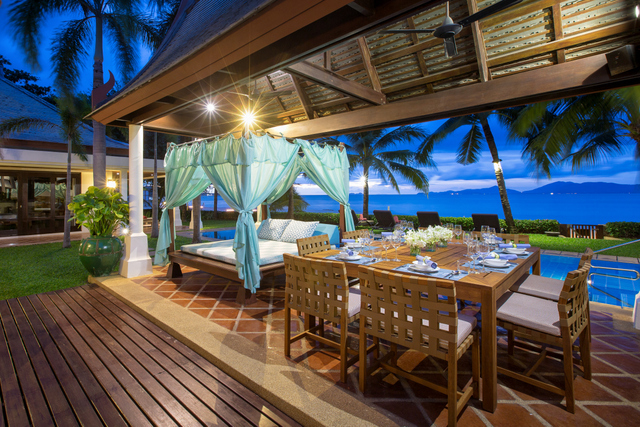 Having read quite a few articles of the villa accommodation in Thailand, I can easily say that these villas are indeed synonymous with the words, Luxury and Indulgence. A perfect and dream getaway for couples and families too. Your own pool and your own private stretch of beach, definitely the stuff that dreams are made of. Absolutely – staying in a villa is a total package experience, as opposed to staying in a hotel where it’s just a room to sleep. Definitely something I would recommend for couples and families looking for the ultimate retreat – Miskawaan is the very definition of the vacation dream! We stayed in Koh Samui ages ago but this place really makes me want to go back. Everything sounds amazing from the right on the beach location to the state of the art kitchen, to the gorgeous pool and private chef. I reckon I would never want to leave!! I will send this link to all my friends in the hope that we can organise a stay sometimes soon. It looks like pure paradise. Thanks for sharing. Definitely shoot the link around your friends and see who might want to join you for a group trip – there are enough rooms to accommodate everyone, and if you have too many you can get a second villa. Its pure paradise indeed! I have never been to Thailand but would consider it now after reading your blog and seeing how beautiful it is, thank you. That’s it.If we ever make that long flight to Thailand, this is where we would spending a week. 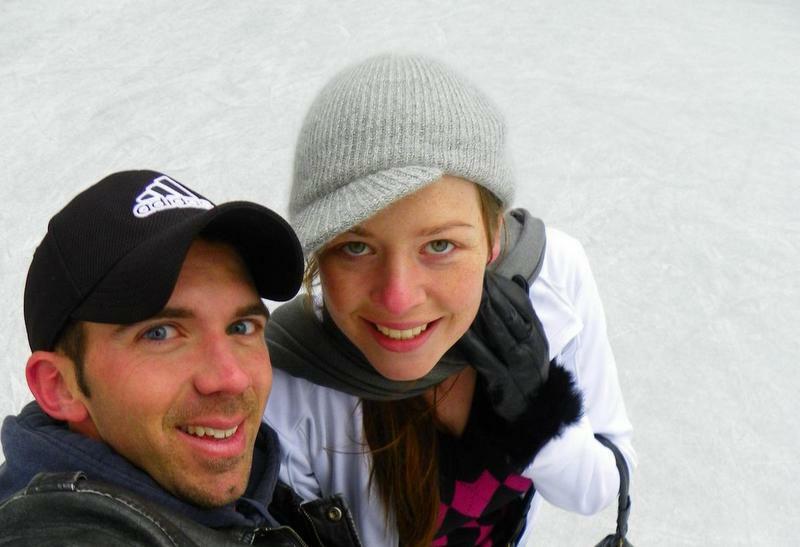 You managed to capture some beautiful pictures of the property! If you do have the chance to visit Thailand, definitely head to Miskawaan on Koh Samui – it’ll be the most memorable week! Pretty darn sweet. Love how you’ve made it easy to find the details about the villa too. Koh Samui has sure grown up since I visited decades ago. This sounds like the dream place! It’s tough to choose between the fun activities or the opportunity to lounge by the pool! This is travel inspiration at its best. Absolutely, that’s why I recommend around a week – not enough time to do everything otherwise! And it’s such a shame to have to rush your vacation when you’re in such an incredible setting as this. 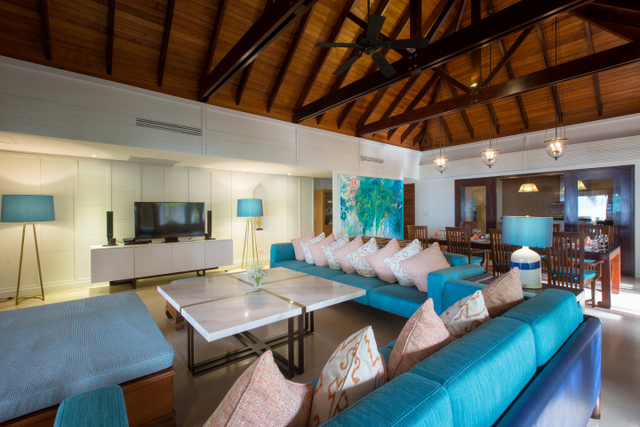 Miskawaan Beachfront Villas for the win! Oh Koh Sumai… It totally stole my heart. And the resort is so beautiful. I would love to visit too! Seems like a place where anyone need to go someday. Just watching at the photos it is obvious. ? Absolutely – everyone deserves to experience this level of luxury at some point in their lives :) Hope you have the chance to travel soon! WOW! Just by looking at the pictures you can definitely say how grand and relaxing the place is. This villa is actually on my top list for my honeymoon vacation. Would make for an amazing honeymoon Luke! Congrats on your engagement!